Lift and shift, don’t destroy. It’s a different way of thinking, but it is cheaper, faster and creates a unique style house. Not only that but it can enhance your property’s value and help you gain a considerable amount of living space. Another incredible benefit is that you are not losing that feature or those many character features of your current home you love. Welcome to the advanced and innovative 2 storey house built by Great Living Homes, the best two storey home builders perth. When you think about your current one storey home and how it can be a two storey home, naturally you default to the thinking of ‘demolish the home completely and start again’. What Great Living Homes proposes though is to physically move you existing one story home to meet two story requirements and then lift the house using innovative technology to your two story height. Imagine one week having dinner in your dining room at street level; and then the next week having that same dining room up in the air prepared for a bottom story to be built underneath…seems almost unreal, and to those who see it, surreal. Great Living Homes is a two storey home builder who can achieve this home transformation for less money and in less time. Instead of destroying an existing home, why not look into some new house lifting technology and lift your current home and build underneath? For roughly the same price as demolishing your old home, you could instead refurbish it and lift it up, thus giving yourself the ability to have a two-storey house for the cost of building a brand new single-storey home. Homes very quickly become places full of character and memories. Memories of family, maybe even memories of doing your own maintenance and renovations to the single story home. Sometimes demolishing that house can be something you don’t really want to do because of all the hard work that has gone into it. But circumstances or opportunities have arisen that have caused you to turn that that one story home into a two story home. Luckily Great Living Homes builds affordable 2 storey homes perth and have made this possible, whilst considering the hard work you have already put in and the character of the home you have always loved and cherished. You will be amazed at the efficiency and brilliance of this technology. Great Living Homes are already using the technology to build brand new two story homes and have also used the technology to lift an existing single story Jarrah home in Mandurah. 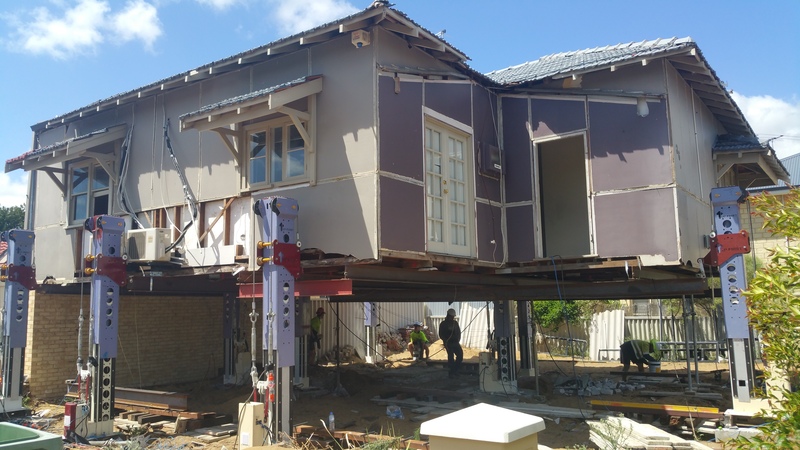 The response to the lift of the jarrah home is one of sheer delight and surprise to the community and passers-by. This could be your home. The team at Great Living Homes are ready and waiting to make your dream two storey house design a reality today. Don’t hesitate; you will be pleasantly surprised by the service, cost and final result.